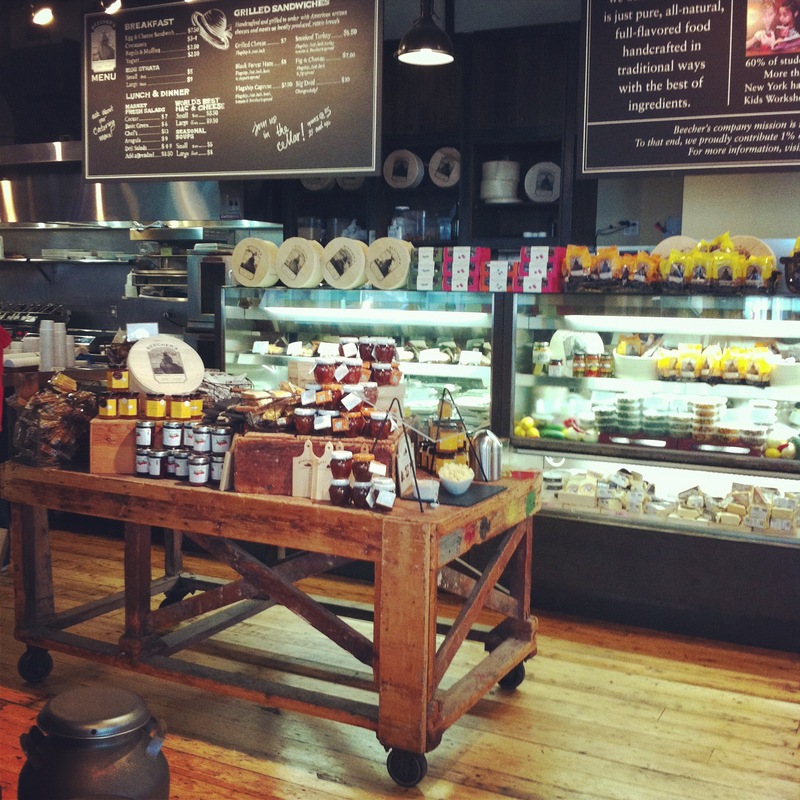 Beecher’s on Broadway and east 20th is well placed as a stopover for decent coffee and one of their delicious cheese and fig grilled sandwiches. 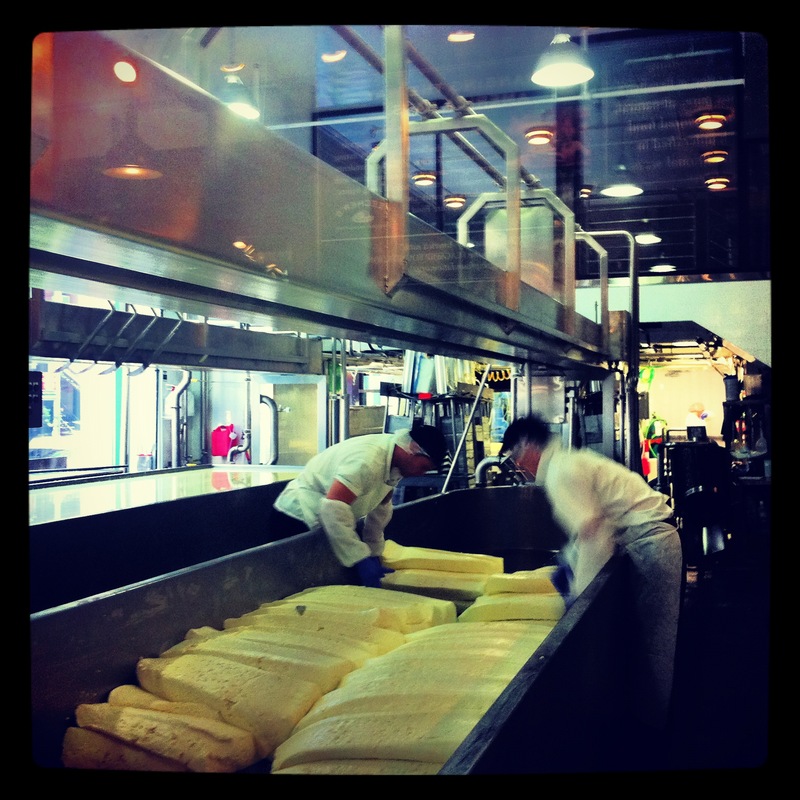 But on Saturday there was another bonus, Sean & I were loitering over a second coffee so we could watch the cheese operation through the glass walls, when a tour group gathered around our pole position to be talked through the curds and whey. I find it fascinating that a sophisticated cheese operation can exist in the middle of Manhattan. It’s not like the cows can cruise down Park Avenue at milking time, everything needs to be brought in, or transported out in huge volume. 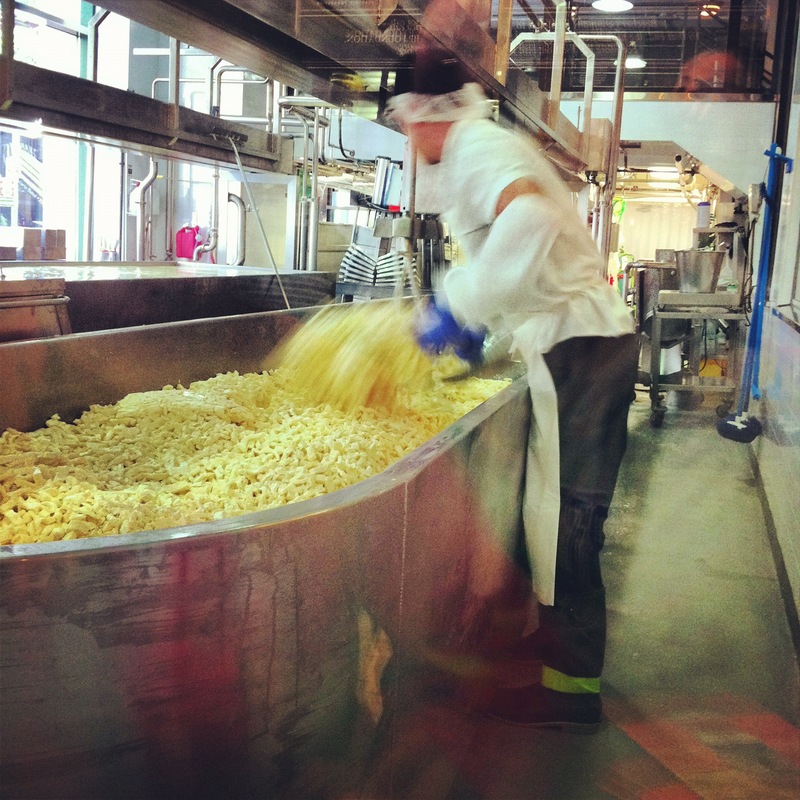 A tanker delivers around 50,000 gallons of milk at 3am each weekday and this produces about 5,000 pounds of cheese. 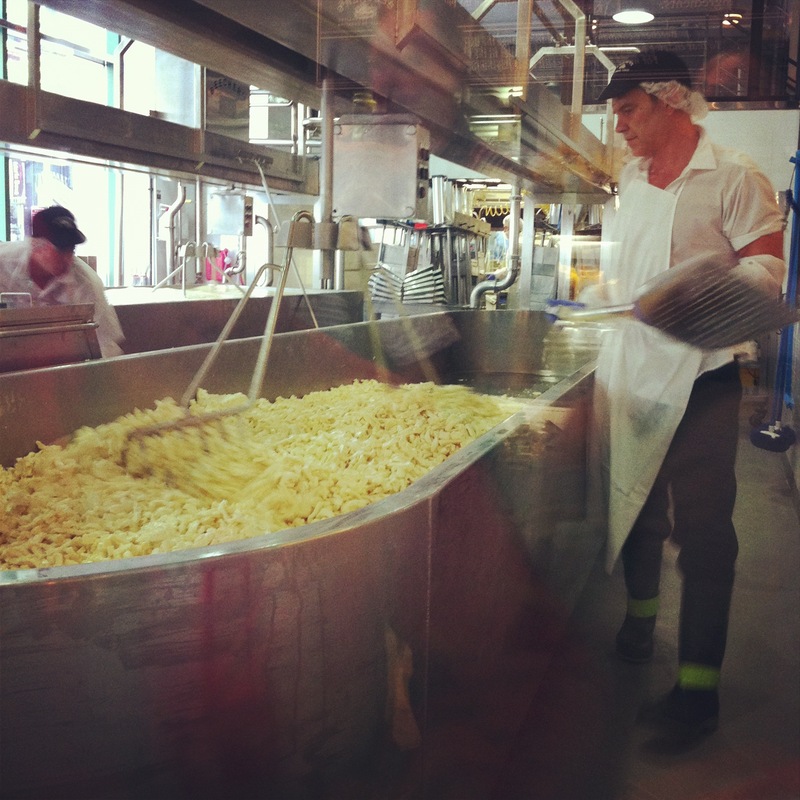 Some of this is the curds you see pictured, the rest is taken to New Jersey to be aged and become Beecher’s signature cheddar.